Frank’s Auto Service provides Walnut Creek Chrysler owners with unmatched Chrysler service and repairs. Our nationally ASE certified Chrysler mechanics are equipped with in-depth knowledge as well as the latest tools necessary to properly care for your vehicle. Whether your Chrysler needs an oil change, or faces major engine repairs, our technicians will treat it as if it were our own. 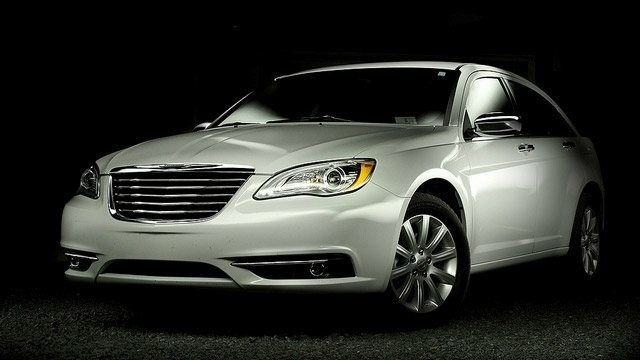 Most Chrysler services and repairs can be completed in one day. Whether you drive the PT Cruiser, economical Chrysler 200, or the Town & Country, Frank’s Auto Service can provide a broad range of services, from oil and filter change, to manufacturer recommended maintenance, 30,000, 60,000 or 90,000 mile service, to in-depth inspections and diagnostics. Naturally, being a full service Walnut Creek auto repair shop, we also offer a wide range of repairs: oil leak repair, brake repair, coolant leak repair, clutch repair, shocks and struts, transmission repair, engine repair, check engine light diagnostics and repairs, evap leak, electrical system repairs, water pump replacement, timing belt replacement, brake pads replacement, brake rotors replacement, head gasket repair, CV boot problems, misfire, TPMS sensor replacement, to name just a few. Town & Country, Chrysler 200, Chrysler 200c, Chrysler Grand Voyager, Chrysler 300, Chrysler 300c, Chrysler 300M, Aspen, Cirrus, Concorde, Crossfire, Pacifica, Chrysler Sebring, Chrysler Voyager, and PT Cruiser. So whether your Town & Country needs new brakes, or your PT Cruiser is due for an oil service – give us a call. You can call to set up an appointment, or request an appointment online.